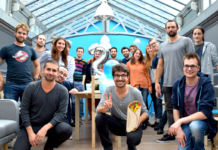 Founded in 2012, Paris-based SendinBlue offers a digital marketing suite for SMEs. 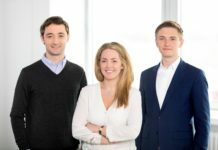 The startup has scaled-up quickly after raising €30 million in a Series A round led by Partech Ventures in 2017. 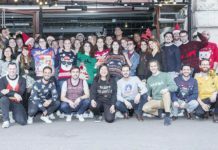 It just acquired its top German competitor Newsletter2Go last week, which it will use to further fuel its growth in 2019 and beyond. With the acquisition, SendinBlue now serves a customer base of nearly 80k businesses in 160 countries, with over 250 employees across offices in France, the USA, India, and now, Germany. 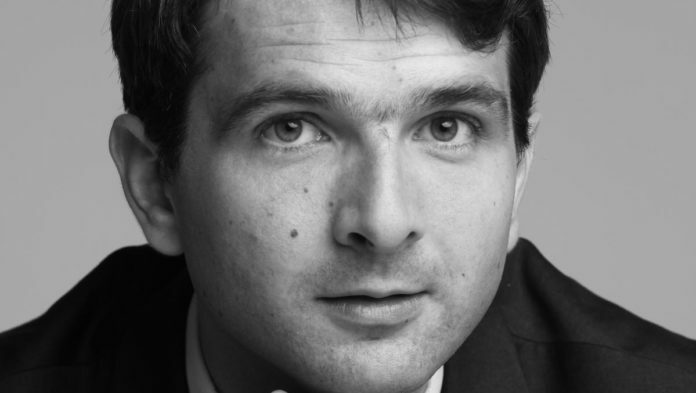 Below, we learn the story of SendinBlue from its co-founder and CEO Armand Thiberge, who explains his vision for helping SMEs with marketing to compete against global giants, his advice for other entrepreneurs, the importance of privacy, and how Europe should lead the way in shaping tech’s future. What’s your background, and how did you come up with the idea for SendinBlue? After starting a digital marketing agency, I noticed time and time again that my small and medium-sized business clients were having difficulties competing with the big actors like Amazon when it came to digital marketing. The virtually limitless budget and easy access to the latest marketing technology gave them a seemingly insurmountable advantage. Building relationships with customers is at the foundation of every successful business. But you need to have the right tools to stand out from competitors and effectively communicate with customers. That is the reason why I decided to launch SendinBlue: a tool designed to level the playing field by making enterprise-quality digital marketing technology available at a price that makes sense for small businesses. Tell us more about SendinBlue. What problems does SendinBlue solve for its clients, and what sets it apart from the competition? Most marketing suites are designed for large corporations with deep pockets; often calling for a complex technical setup and ongoing maintenance as well. This creates a burden that’s twofold: not only are small and medium-sized businesses struggling to build awareness amidst a sea of big brands, but they aren’t even able to compete on the same playing field because the tools they need to compete aren’t accessible for them. SendinBlue aims to solve this problem of accessibility and help small businesses grow big. This mission is in our DNA, it’s the driving force behind all our actions. The goal of our platform is to empower all businesses to build stronger relationships with their customers across all digital channels. By taking a modular approach, we enable companies to build the marketing engine they need, with less effort, and at a cost that makes sense. What were some of the challenges you faced when first starting out, and how did you overcome them? I think the biggest challenge I’ve faced has always been trying to find the right path that creates the most impact in achieving the vision I have in my head: helping small and medium-sized businesses — which make up the vast majority of businesses across the world — establish a strong presence online and forge lasting and meaningful relationships with their customers. At first, I thought creating an agency was the best way to do that, but I quickly realized that I’m not the right person to scale and grow an agency. I believe much more in the idea of empowering others with the tools they need to achieve their own success. But, even after launching a product, it’s not always easy to know the best way forward to stay true to your clients’ needs and continue finding success. As an entrepreneur, it can often feel like this: you’re completely in the dark and you can’t see a clear way forward. You just have to keep moving forward and focus on what you think is right, working hard to always seize opportunities as they arise and prioritize efforts to make the right decision for the long-term. What are some of the elements to which you credit your success so far? There are so many things that I can attribute to my success, but I think one of the most important and impactful things has been taking a customer-first approach to everything I do. It’s very easy to not listen to your clients and just make decisions based on assumptions or gut feelings, but this misses the point of creating a business in my opinion. If you really want to provide value for your clients, you need to listen to them and understand their needs. That’s why I’ve always made a concerted effort to keep my ear to the ground; speaking with customers and putting myself in their shoes to keep developing a product that actually solves their problems, and a product that I would use myself. How have you seen the French startup ecosystem evolve since you started in 2012? So much has changed in the past five or ten years in the French startup scene. Back in 2012, I raised €1 million and it was huge news for a French startup. Now, it’s quite normal to have a €30 million fundraising round. 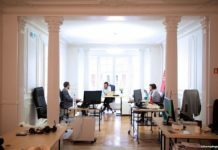 Just within the past few years, we’ve seen an explosion of activity in the startup ecosystem here in France, which has attracted the attention of more investors. With success stories like the sale of Zenly to Snapchat for $300 million a couple years ago, and the emergence of several large incubators like The Family and Station F, we’ve already started to see the early signs of success from this growth… now we’re just waiting for our unicorns! How did GDPR affect SendinBlue? What did you have to do to become GDPR compliant? We’ve always taken data protection and privacy very seriously at SendinBlue, but the GDPR was an excellent opportunity for us to perform an internal audit and make sure that all of our processes and infrastructure were up to the right standards. Luckily, we didn’t have to make any radical changes to be in compliance with the new laws — mostly minor updates to documentation and visibility surrounding our existing processes to offer more transparency for our users. But I think this exercise is vitally important for shaping the future of our digital landscape. It’s too early early for us to fully understand the impact that the GDPR will have, but to me, it will be much greater than we think. In France, and other Western countries, freedom of speech, thought, and privacy is fundamental to our way of life and our institutions; and that privacy includes the right to data privacy online. The GDPR is the first mechanism aimed at guaranteeing more freedom for online users to control and protect the personal information they provide online, and there is a lot of power in that. You’ve raised €33 million to date. What were the challenges you faced while raising the funding, and how have you been using the funds raised from your Series A round? The key challenge of every startup before receiving funding is finding the right balance between prioritizing efforts for long-term success and making money to stay afloat in the short-term. For example, at SendinBlue, there were certain features that we wanted to develop for our users, but the time it would take from our product development team meant that they wouldn’t be able to work on the more short-term priorities that were necessary for generating revenue, so we had to put them on the back burner. Naturally, that all changes when you finally receive funding. You still need to have a plan, but things advance much more quickly with a large injection of cash. So, the challenge then becomes finding a way to spend the money efficiently and keep advancing in the fastest way possible. For us, that meant investing in growing our teams and testing new client acquisition channels while simultaneously refining and doubling down on the channels that work. What advice would you give to other startup founders? Starting a company is a human adventure; trust in your people. Of course, I don’t mean to say that you should blindly follow your employees. But, if you do a good job in hiring the right people and you have a clear vision for the company and where you want to go, you can trust that they will get you there. Placing your trust in the creativity and skills of your employees like this will not only make your life less stressful and making the right decision easier, but it might also give you the opportunity to learn new things as well. What do you have in mind for the future of SendinBlue? The vast majority of successful startups we see today come from the United States — but this isn’t due to a lack of available talent. Europe is full of great engineers and smart people, and I think that it’s time for European companies to take the helm. 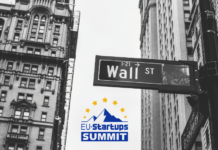 Especially with the advent of the GDPR and other regulatory measures aimed at keeping online users safe all coming from Europe, I believe that it’s very important for European businesses to step up and start shaping the way we use technology in our lives for the better; and I want SendinBlue to be one of those European giants leading the charge — but never forgetting about the value and solution that we provide our clients.